As our way of saying Thank You to the thousands of people who trust us every year, we’re helping make our local communities better, more exciting places to live. Through our sponsorship, we can make sure the money stays in our areas. This is our patch and we want to see it thrive! In 2001 we made a commitment to join the fight against cancer, so each year our people get stuck in raise a phenomenal amount of money, for the Relay for Life. We are out in force at the Manawatu, Wanganui, Hawke’s Bay, Wairarapa, Westport, Greymouth, Rangiora and Ashburton relays each year, but we are most proud of the effort our Property Brokers’ people put in, in the weeks leading up to the relays. Each branch does their part to fundraise. We invite you to keep an eye out for the following annual fundraising events, they are great fun and a wonderful way to give back. This is a multi-sport event run in the Manawatu. Whether you’re a serious athlete or just love to have a laugh - you can bike, run and walk your way from Property Brokers Palmerston North to the Tui Brewery in Mangatainoka. 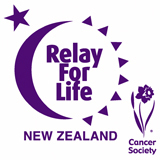 100% of all money raised goes to the Manawatu Cancer Society's Rely for Life. The Wairarapa Gala is now an annual fixture on Masterton’s calendar and a fantastic day where the community really comes out on mass, to have fun and raise money. The great Hawke’s Bay Charity Auction has become something locals look forward to every year. Generous supporters donate fabulous lots and all the money raised goes directly to the Relay for Life. The Smedley Horse Trek is a great day out in the Central Hawkes Bay with your trustiest stead. Property Brokers have been the main sponsor of this great annual event for the past four years. In conjunction with the Wanganui Chronicle, this event attracts upwards of 2,000 participants who can choose to either run or walk the 10km course. Every year there is a chosen charity recipient in which proceeds from the day go to. In 2014 the Women’s Refuge were the charity of choice with proceeds going to support this amazing organisation. Many of the local schools also choose to take part in this event which starts at Kowhai Park, tracks around City Bridge, Motorway Bridge, Dublin Street Bridge and finishes up back at Kowhai Park. A fantastic course that takes participants around this beautiful city. Tonnes of spot prizes up for grabs makes this a day not to be missed! Best costume and best school just to name a few! We are happiest when our local teams are doing great, when there’s a fantastic production and when there is a well-run event bringing vibrancy to our towns. Investing in our future, our community and good old fashioned fun. The Property Brokers logo can be seen on the backs of rugby jerseys to PTA newsletters, if it’s a good cause, we get behind it! Our people are involved at a local level and we are proud to give as much time as we do money. School boy First XV Rugby teams, Annual stage productions, Christmas in the Park, Rotaries Lions, Councils, Parent Teacher Associations, Junior Golf, School Netball, School Hockey, Charity Auctions, Christmas Parades, Children’s Christmas parties, Reach for the Stars, Red Nose Day, The Squash Gym, Golf Tournaments, Street Car Racing and The Shears.